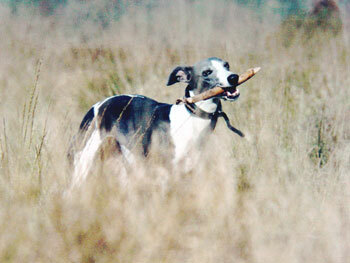 The Whippet, a member of the Hound group, is a slender, medium-sized sighthound. Similar in appearance to the greyhound (on a smaller scale), the Whippet is graceful, well-balanced, and strong. The coat is short, smooth, and dense, and can be found in a plethora of colors, and with a wide range of spots and other markings. The body is streamlined and symmetrical, with a long, arched neck, well-sprung ribs, deep chest, and retracted abdomen. The muzzle is long and strong, eyes are large and dark, and the small, fine rose ears fold along the neck, even when the dog is at attention. The hindquarters are very well-defined and powerful, with broad, muscular thighs. 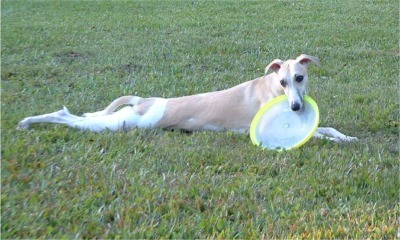 The Whippet has a long, pointed tail. Height (Male) 19 - 22"
Common Misspellings Wipet, Wippet or Whipet. They are very intelligent, lively, and affectionate, and are extremely loyal to their owners. They make good watchdogs as they are reserved with strangers. 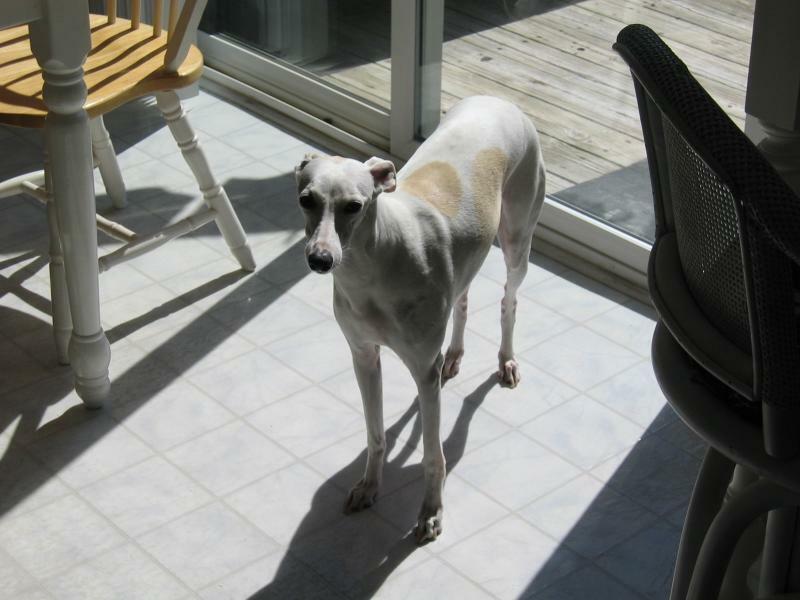 The Whippets sweet, friendly personality makes it a good companion dog as well. Whippets get along with children of all ages, as long as they are not teased or handled roughly. They are physically and mentally sensitive, and need to be treated gently by their owners. This dog is content to spend much of the day sleeping or laying around the house, especially in its owners lap. The Whippet is a truly mellow dog. Because they have short hair they only need basic brushing and an occasional bath. They are sensitive to the cold, however, and do best in warm environments. Some owners put sweaters on their dogs during the winter. Though happily inactive while inside a house or apartment, Whippets require regular exercise. They enjoy being able to run off the leash as well as go on a brisk walk with their owners on a leash. Since the Whippet is a sighthound, it will instinctively chase and kill smaller animals, so it is important to make sure it is kept in a safely fenced area. Whippets are very intelligent and, as such, very trainable, but their sensitive nature requires an experienced trainer. Whippets respond very well to positive reinforcement. 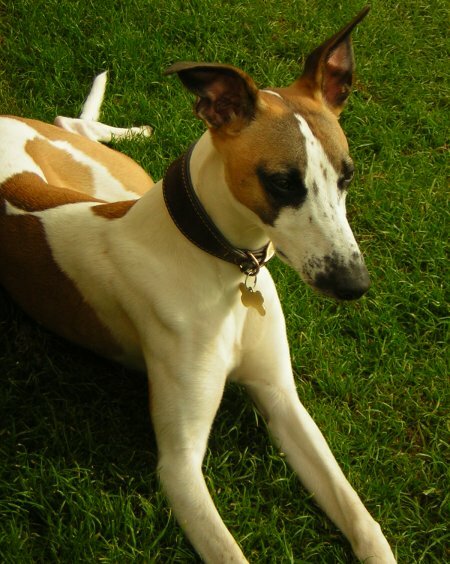 Like most hounds, the Whippet is relatively fee of hereditary medical conditions, though occasionally one will see eye problems or deafness in the breed. The term Whippet was not used until 1610, however, and the Whippet as we know it today was not developed until the end of the 19th century. 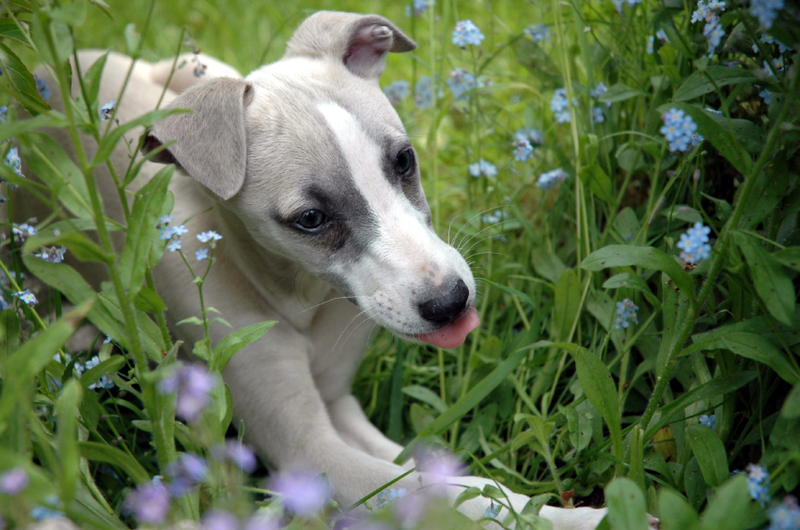 Whippets were created by the crossbreeding of the Greyhound, Italian Greyhound, and small Terriers. These crossings were done with the intent of producing a small, quick dog that could successfully hunt small game. The Whippet first appeared in England, and was popular among the working class. In fact, the Whippet was once called the poor mans Greyhound, and on non-working days their owners could be found racing their dogs on fields or down roads. The Whippet was first registered by the American Kennel Club in 1888 but was not recognized as a breed in England until 1891. Since that time, Whippets have become one of the most popular Hound breeds. Because of their small size and sweet, gentle disposition, they are popular family dogs and companions. 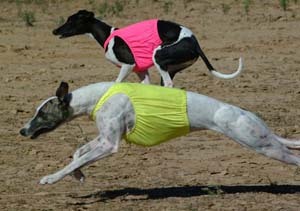 As a racing dog, Whippets have been able to achieve speeds of up to 37 miles per hour! They also excel in other activities, such as racing, flyball, agility, hunting, sighting and obedience training.